How to Calculate Thermal Paper Roll Price? Home/Marketing Strategy/How to Calculate Thermal Paper Roll Price? How to measure thermal paper roll size and calculate its length? How is thermal paper roll produced? Understand these basics? Great! Here we go. Let’s look closer at these components that make up a thermal paper roll price. Paper cost is the major component of thermal roll price. From this article, we know thermal roll is produced from the jumbo paper roll, so the jumbo roll price directly affects the thermal roll price. The supply chain for thermal jumbo rolls is very long, and it changes nearly every month. It is affected by many factors such as paper pulp supply, governmental or environmental policy, supply of coating chemicals, etc. For example, since January of 2017, the jumbo roll price has increased over 20% because of a short supply of paper pulp. Be careful not to offer a fixed price to your customer; instead, quote them an updated price every month. Currently, the jumbo roll price ranges from $1500/ton to $1800/ton. Different core types and sizes have different prices, but most are around $0.018 per piece of core. To protect the thermal paper from being damaged by sunlight, heat, humidity and long distance transport, good packing is crucial for thermal paper rolls. The materials we usually use are: wrapping film, plastic bags, labels, cartons and pallets. From the above pictures, we can see that there are many different packing types. Actually, in most cases customers would bring up their unique packing requirements, for example, some customizing on the cartons (print their Logo and other brand awareness items), so it’s extremely important to work with a dependable, long term packing material supplier. For a carton of 50rolls 80mm x 80mm thermal paper, the carton size is 41cm x 41cm x 17cm. The carton cost is around $1.0/PCs plus the wrapping film, giving a total cost of around $1.10 per carton. So that would be a $0.022 cost for each individual 80mm x 80mm thermal roll. Labor cost is another major component of thermal roll price. A thermal paper manufacturing company requires a large variety of employees, including sales personnel, accountants, slitting machine operating workers, printing machine workers, warehouse management staff, and many others. Additionally, different countries and regions have different salary standards. One one hand, you must obey the laws setting minimum wages for your employees, but on the other hand, you need to think out ways to motivate them to work more for you to earn a higher salary (yes, this is called “capitalism”). Actually, there are many other hidden costs in a company, such as costs for electricity, maintaining machinery and equipment, gasoline, office supplies, marketing, and advertising, etc. One thing that’s trending these days: more and more industries are reducing costs by using robots to replace humans. I think that will be a trend in paper roll manufacturing. In China, the labor cost for each 80mm x 80mm thermal paper roll is around $0.02 per roll. 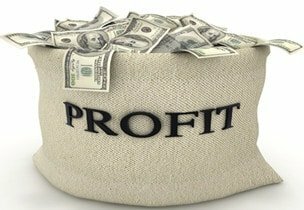 After those costs, it is time to calculate the profit. The profit margin is determined by many factors, such as competitors’ quantity, market volume, customers’ quality requirements, order quantity, etc. If you are located in a country with very few thermal paper manufacturing factories but with big market volume, then you can set the profit margin at a high rate, such as 25%. However, if you are located in a country (like China) with many thermal paper manufacturing factories, it is not possible to set a high profit margin, since customers would simply buy from your competitors rather than you, if you are quoting them a higher price. The proper profit margin for 80mm x 80mm thermal roll is around 10% ~ 20%. 80mm x 80mm Thermal Roll Price = ($0.430 + $0.018 + $0.022 + $0.020) x 115% = $0.560 per roll. If the paper rolls are printed with artwork, we have to consider the printing cost as well. The thermal paper manufacturing business is small, but it is not easy, and you should not try to enter into the thermal paper manufacturing business by yourself. Instead, import the products from a dependable supplier (like our company, Panda Paper Roll). It will save you much cost and time and will help you avoid more obstacles than you can possibly imagine. If you want to know more about thermal paper roll prices or have any other questions, freely email us: support@pandapaperroll.com. We look forward to sharing more information with you. I want to start a new business. Please help me out. Please give contact number for further discussion I am new in this business I want ask more questions. Hello Ganesh, you can talk to us on WhatsApp: 8615066691725.